Here is a black Mercedes W204 C300 or C350, I don't remember, since it was debaged. 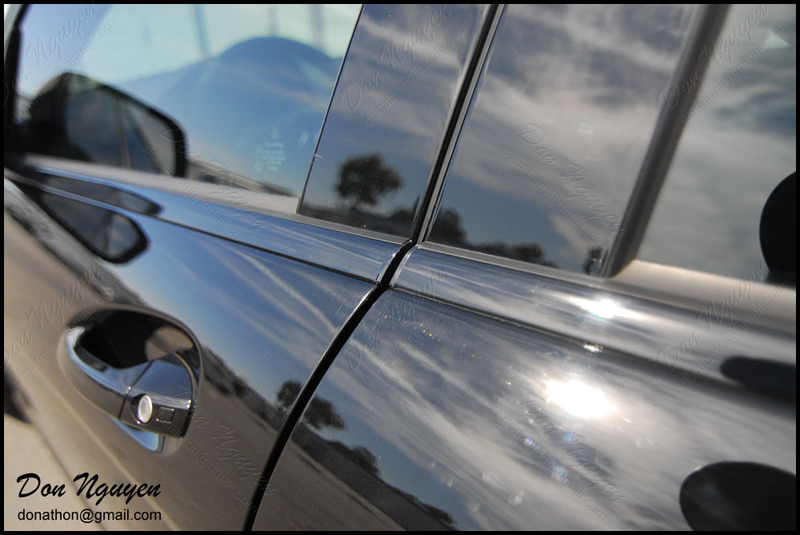 I vinyl wrapped the chrome or brushed aluminum window trims with my gloss black vinyl material to give it that shadowline blacked out look. 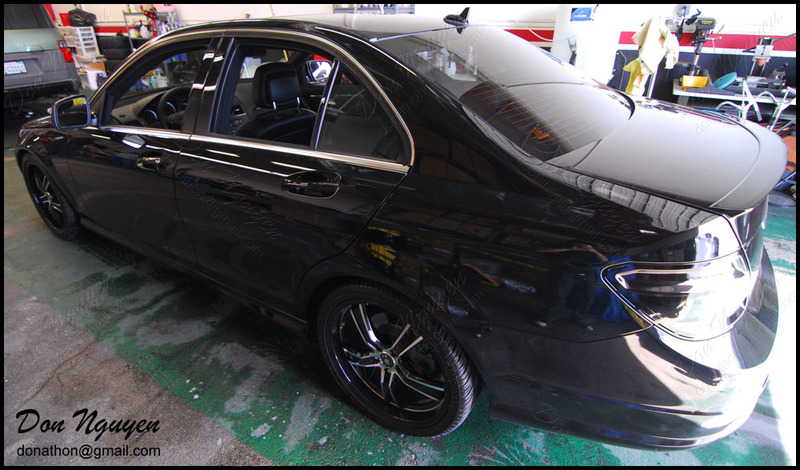 For this car, we went with the gloss black material over the matte black material. We did this so that the window trim would blend in with the car more, since his tail lights were tinted fairly dark (making then look like gloss black) and his wheels had some gloss black accents on it as well. I also blacked out the chrome trunk handle in the rear to complete the entire chrome blacking our look/process. In addition to the window trim, I also did the top half portion of the side mirror blinkers in gloss black. I basically covered the reflector portion and left the actual indicator portion visible/clear.